Competitively Priced!! Situated on a corner lot, This home is ready for your personal touches. Located within walking distance to parks, shopping, schools, and restaurants. Perfect starter home within a growing community! FIRST SHOWING: OPEN HOUSE 08/23/15 between 2-5. 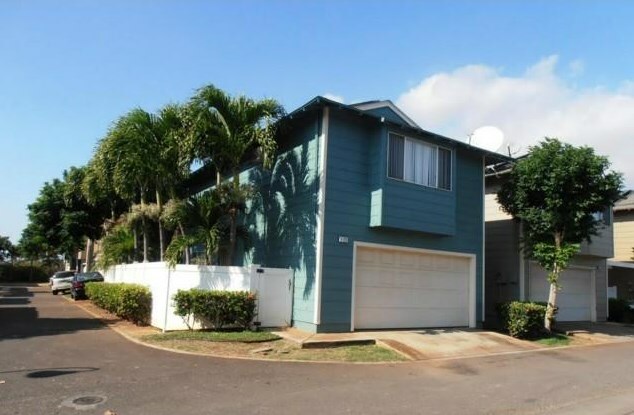 Listed by Watanabe International, Inc.
91-1028 Hoomaka Street #33, Ewa Beach, HI 96706 (MLS# 201514764) is a Single Family property that was sold at $415,000 on November 18, 2015. Want to learn more about 91-1028 Hoomaka Street #33? Do you have questions about finding other Single Family real estate for sale in Ewa? You can browse all Ewa real estate or contact a Coldwell Banker agent to request more information.